This week has been a fun feature of local loves. We love shopping and working with local businesses to bring you fresh ideas but also inspire you to do the same wherever you live. 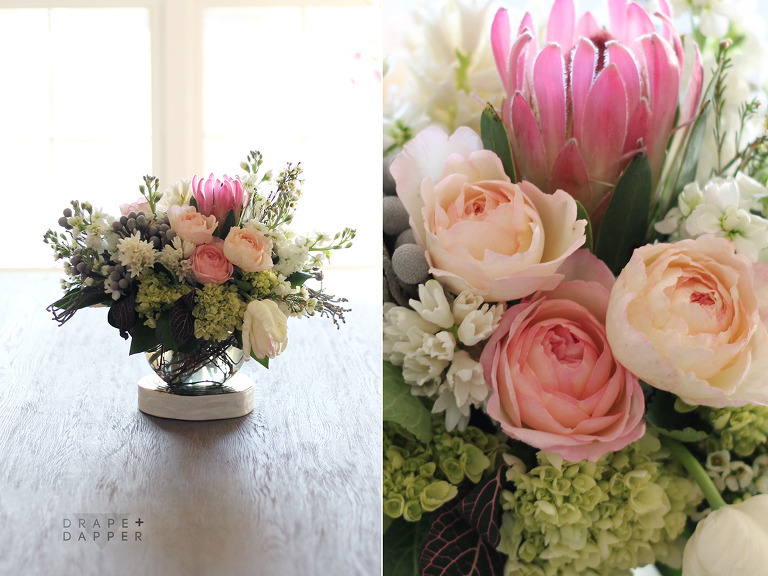 We collaborated with Flower Girl Design Studio, here in Appleton to come up with a floral arrangement of breathtaking blooms to celebrate the first day of spring! 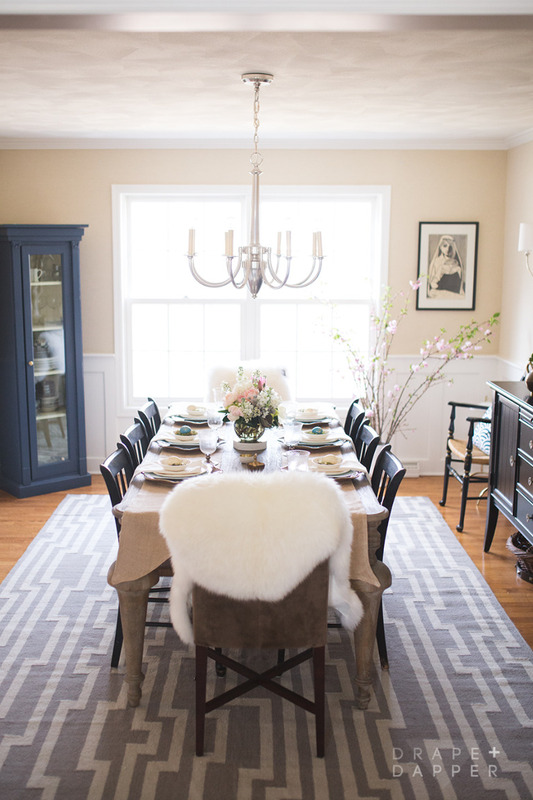 And since Easter is right around the corner we decided to set our table a little early for some Easter inspiration. Flowers make such a statement on your tablescape and are also a thoughtful sentiment to bring to your Easter gathering (hint, hint!). Owner and artist, Michelle Northey, has the most adorable studio filled with amazing blooms, fresh greens and more vases and vessels than you could imagine. Not only is the vibe fun and artsy but it’s an open space studio where creativity flows freely, yet is warm and welcoming. She loves working with people to create the perfect way to set the scene and say something special. She can cater to events large or small but also has that special knack for the everyday customer looking for a gift or something for their home. She also does fun things like a monthly floral service, where a seasonal bouquet can be delivered to your house. Regardless of your budget, she will come up with something spectacular – sign me up! 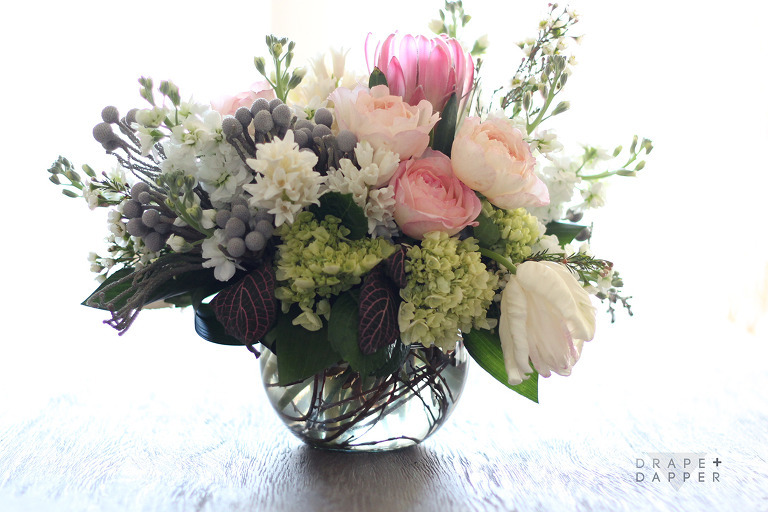 The gorgeous centerpiece you see below is available to order starting at $50 and can be customized to your budget. Just ask for the Drape + Dapper spring bouquet (*bonus, she can deliver to the Fox Valley, Green Bay, Oshkosh and surrounding area). Or call 920.284.7292 or stop in, she has a new location at N282 Stoneybrook Rd, Appleton. If you’re looking for something quick and easy, she always has fresh tulip bunches on hand this time of year for $15 (and not your standard store bought variety) check out the cream colored beauties below. 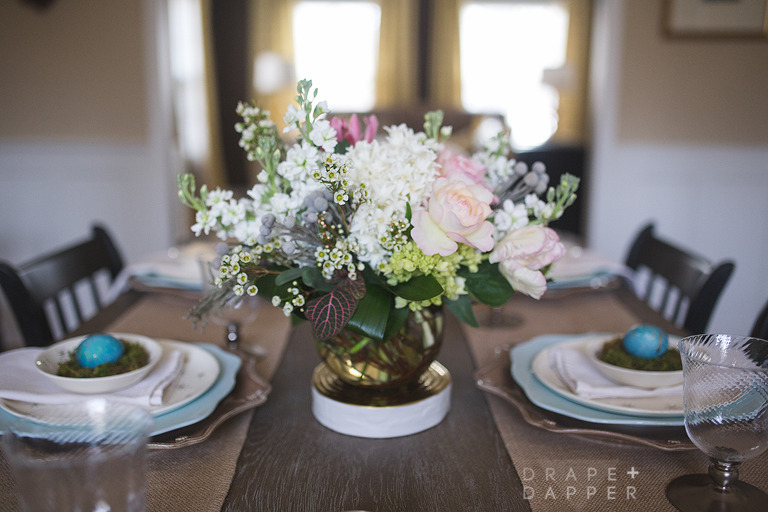 Drape + Dapper spring bouquet c/o Flower Girl Design Studio – order yours today!! I’m not a florist. I’m an artist. It’s all I’ve ever wanted to be. I studied studio-art at Lawrence University, and discovered the artistry of flowers after graduation. Flower Girl Design Studio is my own personal gallery, where I pursue my passion for blending the spirit and sentiment of people, with the colors, shapes, and scents of nature’s most beautiful creations. Being picky about my flowers means Flower Girl offers beauty and quality no-one else can. Because what other shops have to special-order, I order all the time. What other shops call exotic, I call everyday. And what other shops consider good-enough, I don’t even consider. On any given day, my studio is filled with rows and rows of beautiful blooms, all fresh, all premium, most you won’t find anywhere but Flower Girl.